My leaf-blower died on me today, so I’m in the market for a new one. I want something reliable, lightweight, low maintenance, and I’d rather not have to mix fuel. Suggestions would be appreciated. I got a Kobalt 80v battery powered blower from Lowe’s a couple years ago and love it. Have the chainsaw and hedge clipper that works off the same battery. It’s a bit heavy, but I just use it for short periods of time. Might want a lighter rig if you had to handle it for a big area. Beats the hell out of fooling with fuel or extension cords. Run it on this, no mixing, has no ethanol, and is stable for long shelf storage. It won't ruin your machine if it sits idle in it over the winter, not that I would recommend that but if you don't pay attention. He could get an Echo PB-250LN for the same price or slighly less with a 5-year warranty. Better blower specs too and both are made by Yamabiko Co. Depending on how large of an area you use it on this one has been a gem for me. Absolutely no mess. It's corded. I hate fooling with batteries. I got the basic Echo from Home Depot not to long ago and so far it’s beeb a beast. 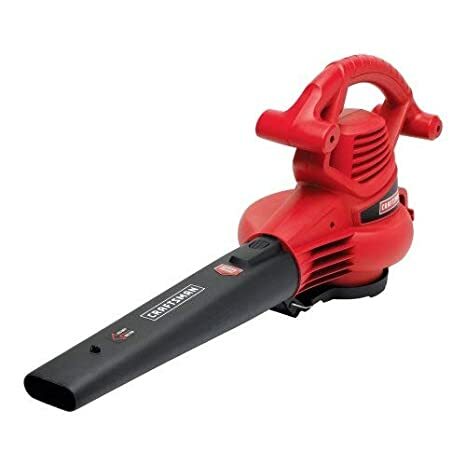 Echo if you want a very reliable and durable home leaf blower. Stihl if you plan to use it every day. If you absolutely don’t want to mix gas, look at Stihl’s battery line of yard tools for performance as close to gas as you can get. Their professional battery models (believe they are the HSA series) offer different battery and charger options and can run for over an hour and produce similar performance to smaller gas models. The drawback is they’re also priced close to mid-grade/light professional Stihl equipment and you’re probably looking at $350-450 for a blower, battery, and charger setup (don’t believe me though, I could be off, check for yourself). After using their HSA66 battery pruning shears I would never use a gas powered model again as the performance is similar and the battery models are significantly easier to carry. I have heard their blower, string trimmer, and polesaw and extended shears are the same way. For something more economical, hard to go wrong with Black and Decker’s rechargeable tools. They do not provide nearly the same level of performance, but they’re dependable and I’ve had good luck with them. My wife has a Black and Decker string trimmer that’s going on 5 years old and still charges as quickly and performs as well as it did when we brought it home from Lowe’s. I don’t particularly care for corded models because of the inconvenience of a cord, but if you have easy access to outlets and smaller area to blow, that might be an option as well. I have the dewalt 20v blower, hedge trimmer, and chainsaw. All run on 20v 5amp batteries. Have several other tools that run on the same batteries. So far durable and enough power. I recently bought a Milwaukee Blower and Weed Eater for my new house. My grandfather would roll over in his grave knowing I bought electric vs. gas, but I couldn't be happier with it. I am more than happy with it. For those of you with gas blowers, is mixing and storing fuel the hassle I imagine it to be? Not since this stuff hit the market. I use the Red Armor Echo brand as I have all Echo products for lawn car. I keep several cans on hand. I try to buy at least one can every time i'm in Home Depot. If you don’t mind using a cord, I have this and love it. My blower that just cratered was a corded Craftsman. My parents gave it to me as a housewarming gift in 1988, so I am definitely tired of cords! I’m open to battery, and I am now beginning to open my mind a little on the idea of gas-powered. It really isn't a hassle. I use Stihl HP Ultra mix oil and it comes in pre-meassured bottles, Echo Red Armor oil is excellent too and is sold in dosing bottles. I have a dedicated 1-gallon fuel can, takes only a few minutes to make a batch. Buy the right fuel containers and use 89 - 93 octane gas and you will have no issues with fumes or fuel going stale too quickly. I use No-Spill for 2-stroke mix and an Eagle 5-gallon for regular gas. I treat the gasoline with Stabil 360 and good 2-stroke oils have added fuel stabilizers too. Not a hassle at all. I buy the pre-measured 1 gallon oil mix bottles by the dozen pack. Pour one of them into a gas can, I use a 1.5 gallon, and then add a gallon of gas and it mixes itself. There can be some separation and settling over a long period of time, but I generally use it quickly enough that it isn’t an issue. I try to also run the engine out of gas before it sits for the winter. 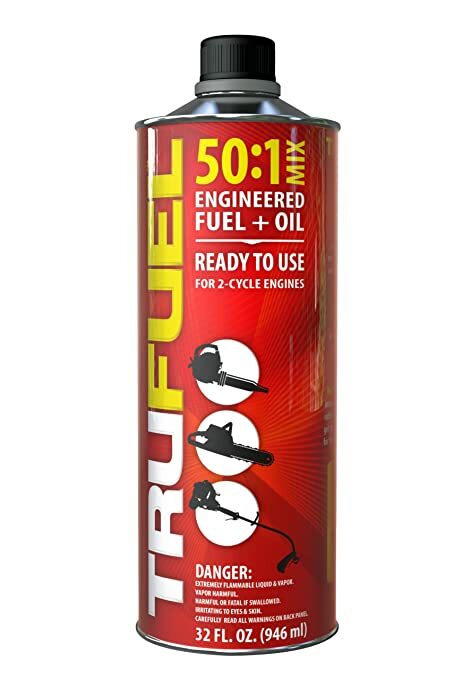 Other option as someone posted is TruFuel. It’s pre-mixed gas/oil and very convenient. More expensive if you go through a lot though.